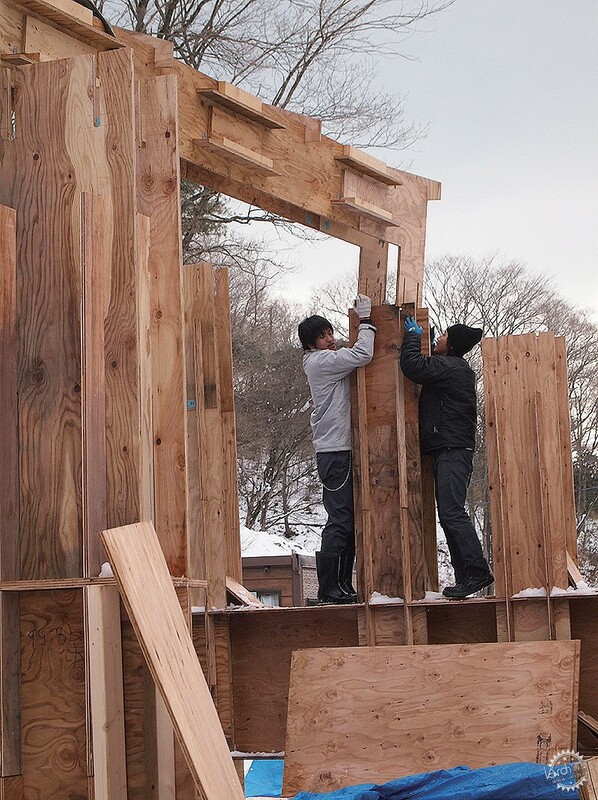 Designed by the Tokyo-based firm KMDW, the Veneer House is a self-build plywood house. 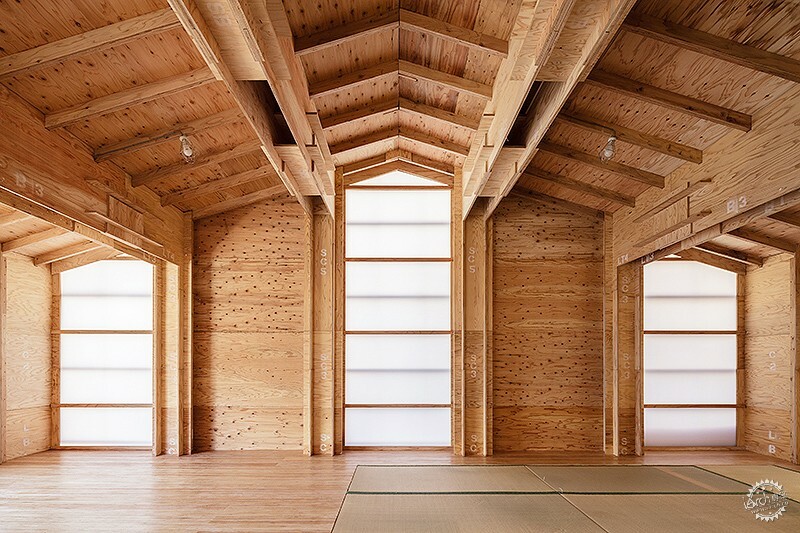 KMDW designed and built the first Veneer House to serve as a community center for Minamisanriku, in Miyagi Prefecture, after the 2011 earthquake and tsunami devastated the town. 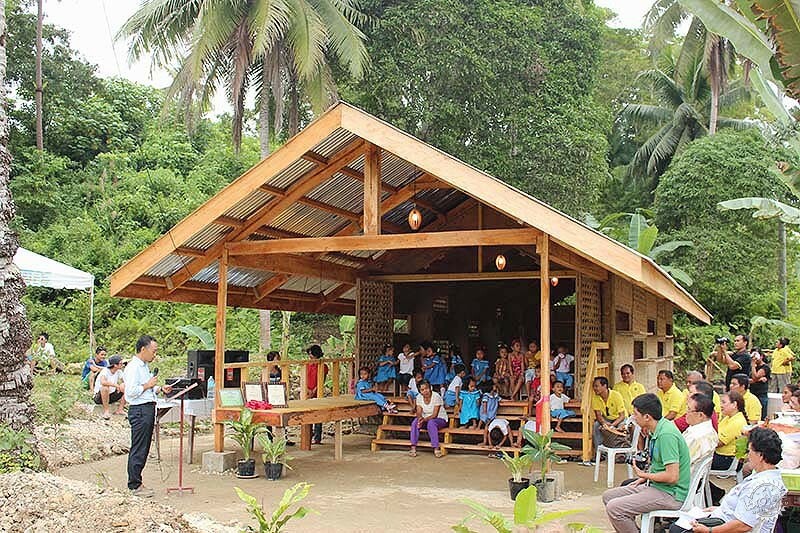 The firm has since built similar structures to house an education center for children in Myanmar and a preschool in the Philippines. 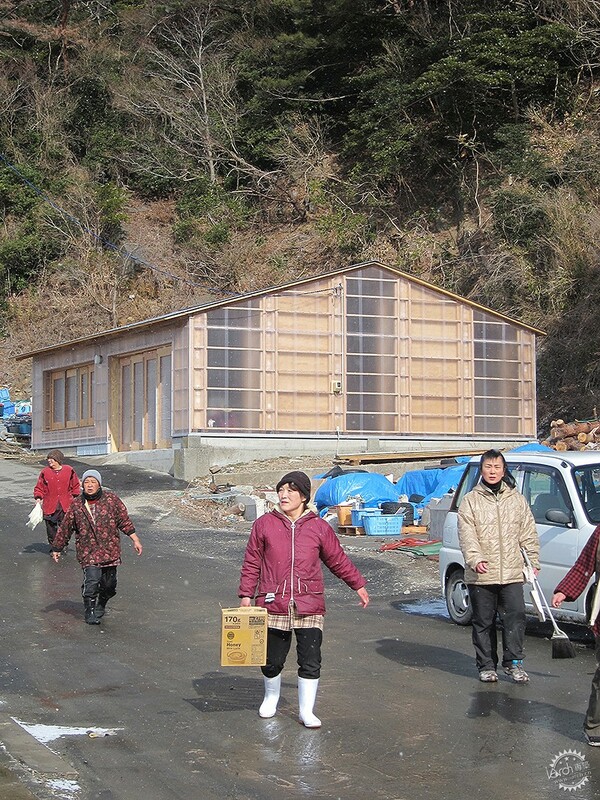 The area impacted by the tsunami faced shortages of both skilled workers and construction materials. 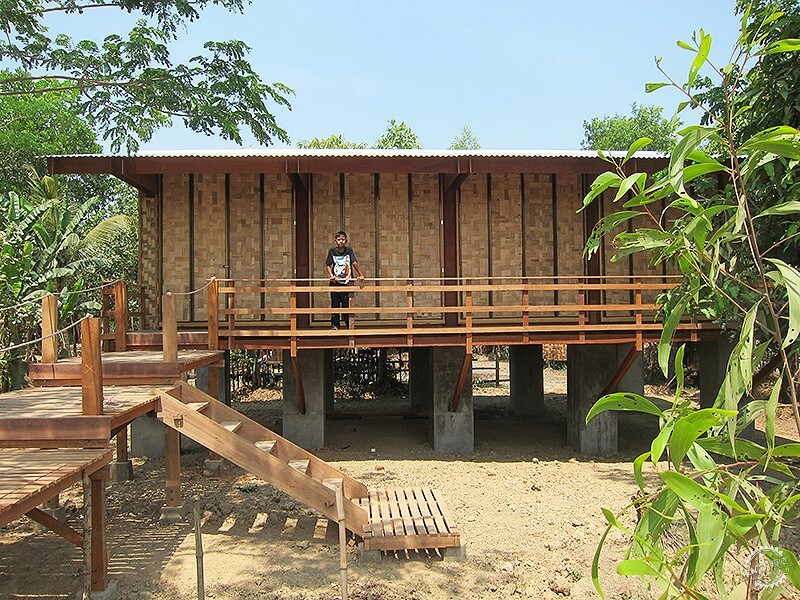 To overcome the problem, KMDW developed structure that used seawater soaked plywood and could be built quickly and cheaply without skilled workers. 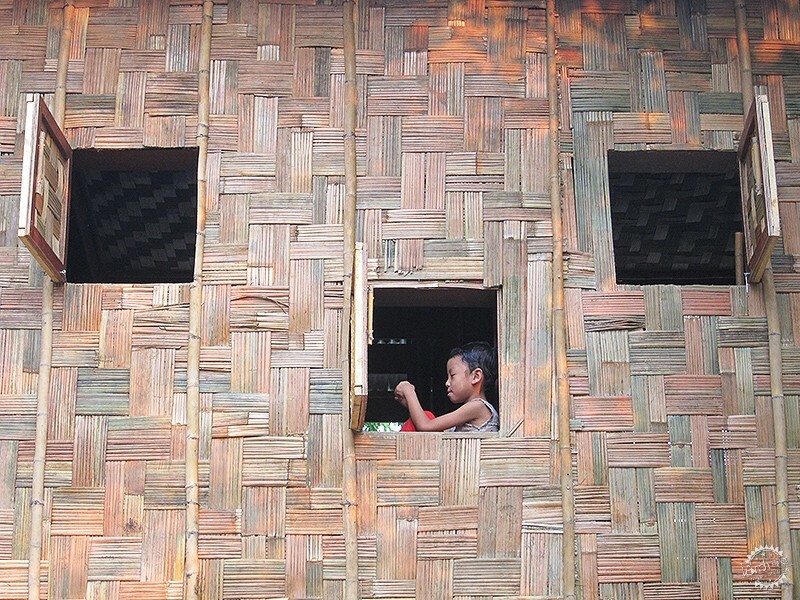 Because plywood can be found at affordable prices anywhere in the world, the architects were able to use the same type of structure in Myanmar, where it was built without electricity using only hammers and nails. In the Philippines, they adopted a frame made from plywood pieces precut to extremely accurate specifications with the latest digital machinery, and fit together with wedges. By tailoring the construction method to each location and participating alongside local residents in workshops to build the houses, the architects brought people and buildings closer together. 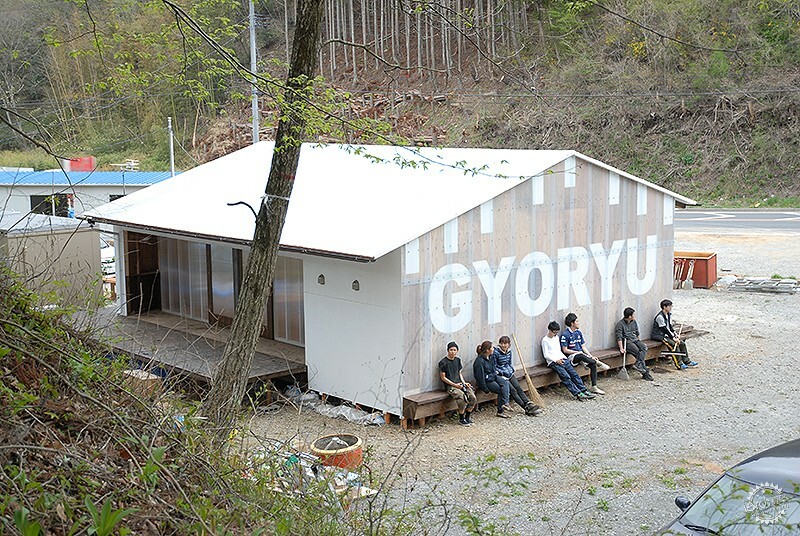 We talked about the project with KMDW’s Hiroto Kobayashi, who continues to research, design, and construct self-build houses made from plywood. This project aimed to develop a new method for easily and cheaply building structures from plywood, an environmentally friendly material with standardized dimensions and strength. The plywood can be cut either by hand with tabletop saws, or with digitalized CNC routers, and these parts then assembled into a structural frame without the need for specialized knowledge or tools. In disaster zones where skilled workers and heavy machinery are in short supply but the need for new buildings is great, a construction method that ordinary people can implement on their own has huge merit. Furthermore, through the process of assembling the structure, each participant becomes a stakeholder. This construction method thus has the added value of helping restore community ties and increasing people’s attachment to their neighborhood. I’m continuing to revise the design with the goal of achieving an even easier-to-build, stronger structure that can be created with fewer materials. What was most important for you during the design process? Plywood, and particularly plywood made from underutilized forest thinnings, is an excellent construction material. It’s affordable, conforms to strong quality standards, can be obtained anywhere in the world, and is made from a renewable resource. My goal is to capitalize on these positive attributes to the greatest extent possible and develop a construction method that anyone can successfuly use to build a home. By simplifying conventional construction methods, it’s possible for even a beginner with no construction skills to build a house simply by following the instruction manual. Through this process people feel a closer connection to the building and a sense of ownership. I place great value on the simplicity of the method, which is what enables those things. 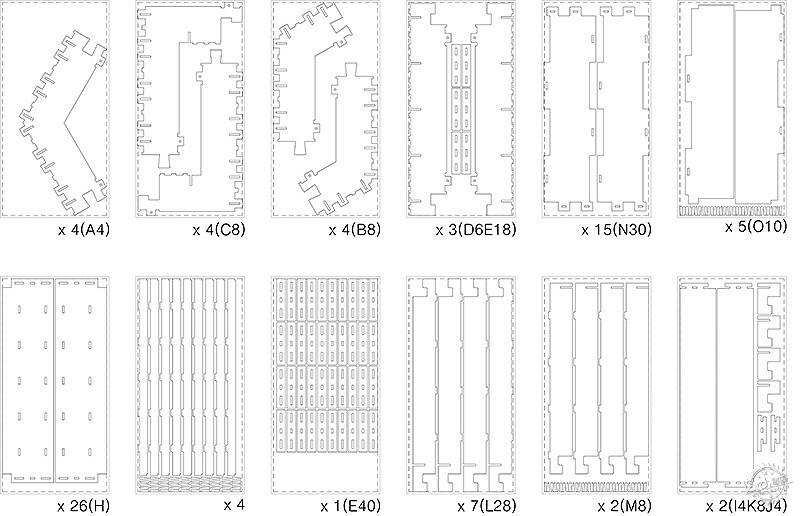 In order to further reduce cost, I have experimented with various patterns for cutting parts from sheets of plywood, and aim to develop a design with no waste. What challenges did you face in the project? How did you respond to them? The materials and form of the houses vary with each location. 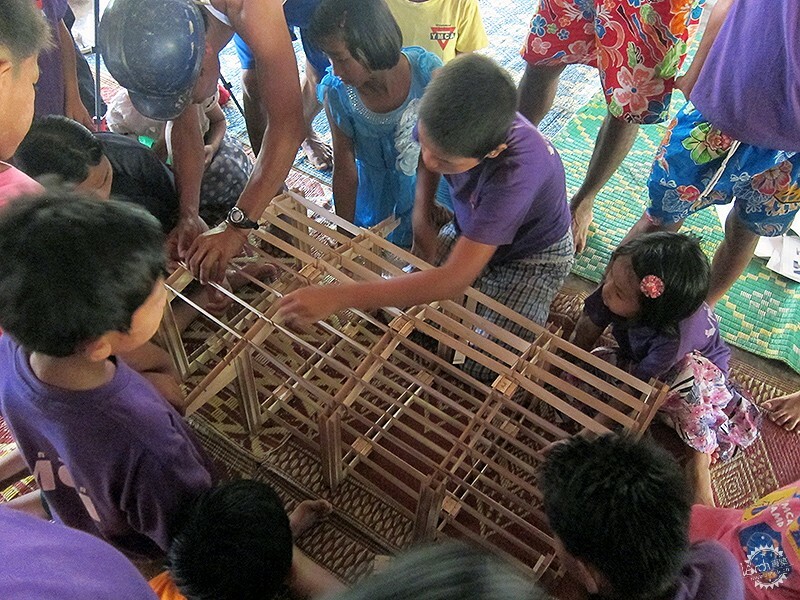 I worked very hard to design structures that were easy to build but also made the best possible use of local cultures. The solution I settled on was to construct the frames from plywood, but finish the exteriors with familiar materials that would blend into the surroundings and that local residents would be able to maintain over the long term. I also tried to find innovative ways to increase people’s participation in the building process. For instance, we held workshops at early stages explaining the system so that even those with no prior knowledge of it could easily join in, and made easy-to-understand construction manuals. In order to reduce the use of tools during the construction process to a minimum, I turned to traditional Japanese framing methods for inspiration and incorporated joints that don’t require nails. These were used to assemble pieces pre-cut with a CNC router. What did you learn from this project? What will you take from it to future projects? Building a house yourself isn’t just fun, it also changes your feelings towards the house and makes you want to take better care of it. Understanding how the house was built also makes maintenance easier later on. I learned that a building created through cooperative work centered in the local community strengthens people’s care for that community and land. I sensed the importance of people’s doing something for themselves, and of the house becoming something personal, especially for people living in a disaster area. However, the strength and durability of the structures hasn’t yet been adequately proven. Continued research is needed to achieve even stronger, longer-lasting structures. How does this project fit into current architectural trends such as sustainability, social function, or technology? Today, architecture has developed into an extremely specialized, technically advanced field, and a great chasm has opened up between the act of building a house and the people who will use that house. I believe it’s particularly true for residential architecture that the owner should understand their own house and feel intimate enough with it to make changes to it. 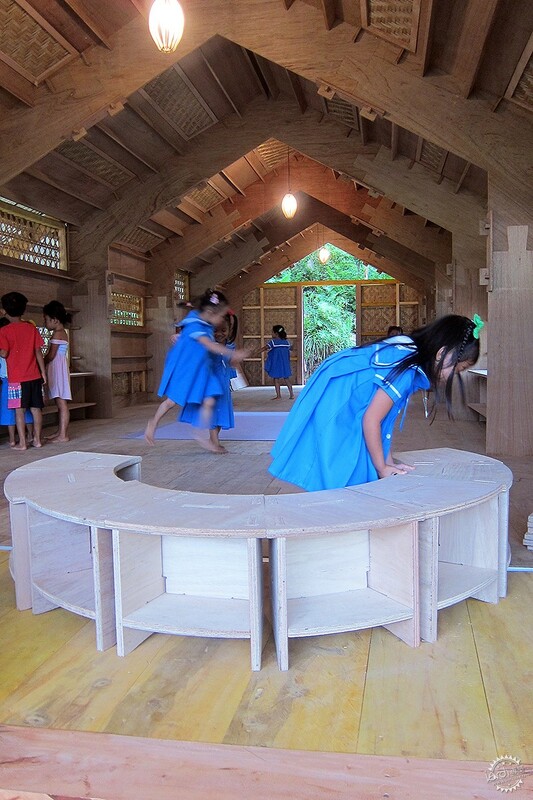 In addition, through the process of building a structure cooperatively as a community, people’s affection for the building not only increases, but the community’s knowledge and culture is passed down as a local resource for the next generation. As we move forward, society will demand not that advanced technology be something distant, but that it be something accessible for people to use. What is the societal role of the architect? The act of designing or building something is the act of giving an immaterial idea or system a physical form. That has been the work of specialized designers, architects, and skilled workers, but I believe that starting today architects need to encourage a wide range of people to take part in the acts of design and construction. By doing so the act of building becomes theirs again. It changes from something another person does for you to something personal that you do yourself. As that approach spreads, I believe it will lead to an architectural practice that fulfills its responsibility to society.